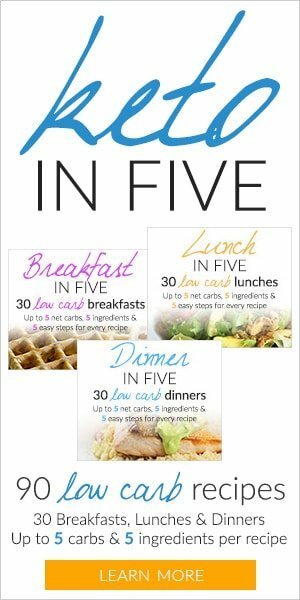 Trying to eat healthy and lose weight? This recipe is for you! 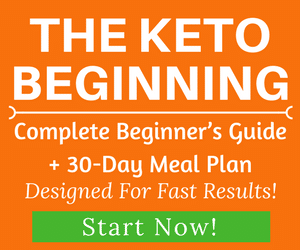 People think that keto cooking can become boring at some point, but that is just far from the real truth. 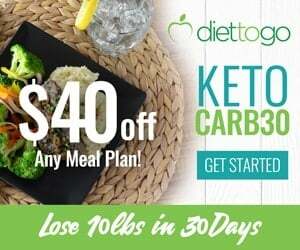 There is a variety of ways in which you can cook healthy meals when going on a keto diet. The mix of Italian flavors of the following recipe will help you make that lunch meal more interesting. 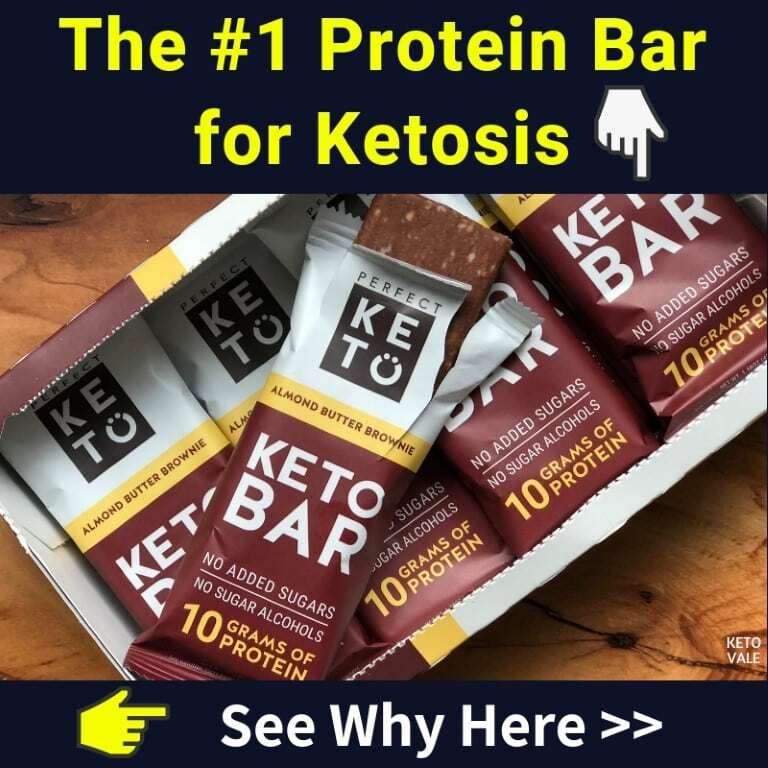 Just give it a try and prepare it for yourself or your family; even those who don’t know about keto diet will love it. Let’s get started! Boil 2 cups of water in a cooking pot. Lay the cabbage in a heat-safe bowl and gently pour the boiling water on the cabbage. Set aside for 10 minutes. Heat a tbsp of oil in a frying pan. Sauté the minced garlic and half of the onion slices till they start to look soft. Add the ground beef into the pan. Flavor the mix with pepper and half a tbsp of salt. Leave to cook for 15 minutes then reserve for later. Pour a cup of water in another pot while cooking the beef. Throw in the chopped cilantro, tomatoes, and the remaining onion slices. Boil the ingredients up to 15 minutes. Afterwards, transfer to a blender. Whisk together with the dried basil and another half tbsp of salt. Blend to obtain a smooth, uniform mixture for the sauce. 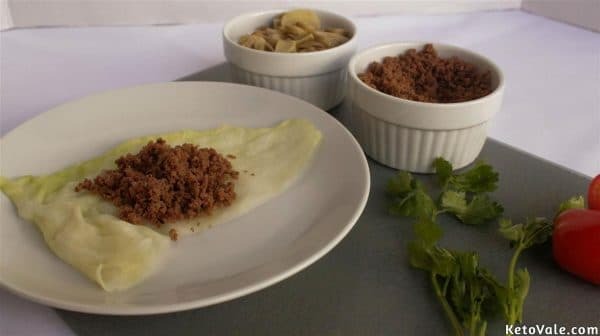 Lay a cabbage leaf on a plate. Spread spoonfuls of meat on the leaf, then add the mushrooms as well. Fold all the sides securely so the fillings will not spill. Do the same with the rest of the ingredients. Set your available oven to 350°F to preheat. 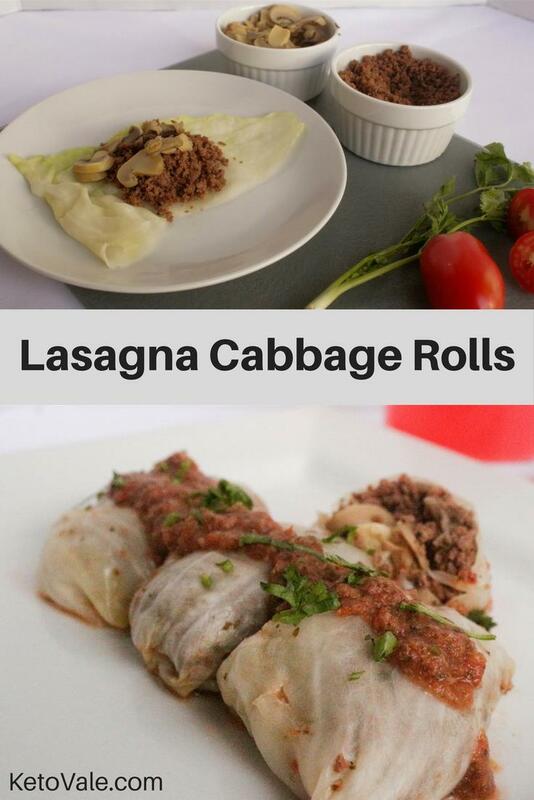 Lay the cabbage bites on a baking sheet and bake for 10 minutes, enough to warm them up. Spread some sauce on top of the bites and serve. Note: You can also use grated mozzarella cheese to sprinkle on top when served. The color of the rolls depends on the type of cabbage you are using, some cabbage is white while others can be green. 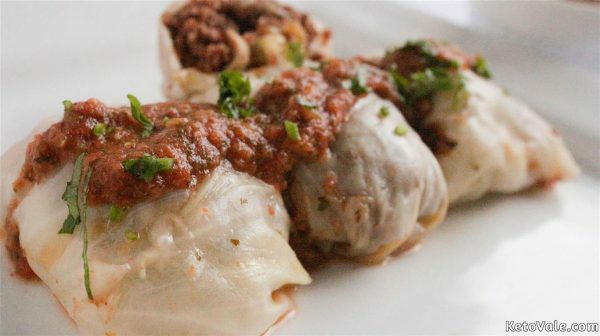 This recipe is the proof that you don’t need carbs to eat some Italian delicacy, you surely will love it. We all can enjoy our diets, especially when keeping in mind that they help us to be healthy and fit. We just need a little bit of creativity and to take advantage of the ingredients that nature gives us. So, embrace and love keto life and spread that love to others!